It’s true, we don’t have much need (where did I put my umbrella?) for protecting our locks against sun damage on these drizzly shores at the moment but if you’re planning a Summer holiday to warmer climes don’t forget to pack more protection than just your SPF30! Our hair can suffer the effects of the sun just as much as our skin and if you’re constantly dipping in and out of the sea or chlorinated pools whilst on your hols, your barnet will return home drier than a sun-dried twiglet. Welcome to the second installment of The Cutting Room Floor, the segment devoted to Summer hair bits and bobs that have caught my eye over recent weeks! Aveda Cun Care Protective Hair Veil (£17.50): A lightweight, water-resistant UV defense mist that forms an invisible screen to help protect hair from sun exposure for up to 16 hours, to minimise colour fading, damage and dryness. After Sun Hair & Body Cleanser (£14.00): Aveda Sun Care Hair & Body Cleanser features a colour-safe formula with corn-derived chelator that gently removes chlorine, salt and product residue. Aveda Sun Care After-Sun Hair Treatment Masque (£16.50): An intensive cream masque that replenishes hair’s protein balance, moisturises and defends against free radicals and the damaging effects of sunlight. Described as a ‘hero product’ for the Dr. Hauschka line, the Neem Hair Oil contains a rich, replenishing formula that promises to soften and restore hair that has been damaged by treatments, hair tools and the strains of holiday living! It also lays claim to being able calm itchy, flaky conditions, encourage hair growth and even normalise sebaceous activity on hair that is prone to greasiness! Best used as a weekly pre-shampoo treatment on most hair types but also recommended as a styling product for those with extra-dry, frazzled locks. I have a sample here that I’m ITCHING (no pun intended) to put to good use… watch this space! From August, Vidal Sassoon is getting a new look. Clearly fed up with us lot buying up the high street stores in an attempt to reinvent our Summer wardrobe, the iconic hair brand is upping their game to join us! The purple accents and redesigned packaging give a nod to the hairdresser’s love of geometric lines and asymmetric styling. The new budget-friendly range in its eye-catching new packaging will be on shelf from August. If you’re more concerned about the weight of your luggage than anything else this Summer (well not *anything* else, need a life much? ), you might be interested in the current offer available at Gielly Green. My love for their Argan Oil is well documented on here and until the end of August, when you purchase a bottle, you’ll receive complimentary travel-sized Lemon & Muguet Body Wash and Lotions with every order. Perfect for sticking two fingers up at RyanAir’s baggage restrictions and indulging in a bit of pampering at the same time! Sweden’s hottest hair stylists have hit the UK with a new range expected to delight the socks off beach lovers everywhere. The SPF line up includes three products designed to offer maximum protection against environmental damage without adding additional weight or build-up to fine hair. A shampoo, conditioner and UV-busting mousse ensures that your style is protected with long-lasting effects without skimping on nourishment thanks to its very own Ocean Silk Technology formula containing valuable proteins and minerals derived from sea algae. Do you have any practical Summer hair tips for holidays? 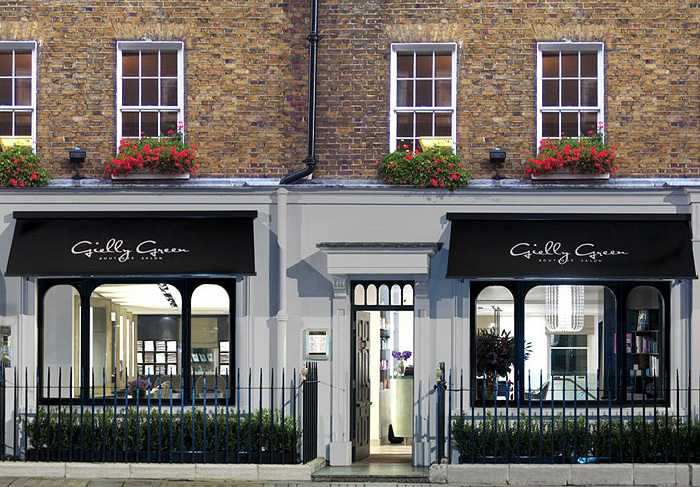 Whilst in London last week, I trotted along to Gielly Green, a boutique hair and beauty salon located just off Baker Street hopeful that Shai Greenburg, co-founder and creative director would be the man to inject some life into my tired hair. I’m finally past that awful ‘growing out’ stage and to get it there, I’d been dodging regular haircuts left, right and centre since Christmas. I know you’re not supposed to but we all know how tempting it is to eschew the snip in favour of growing length more quickly! 2. Being made to feel like a reprobate for colouring my hair at home. 3. Having to coax recommendations out of nervous stylists about what they think I should do re: styling. I’m paying them for their expertise right? If a full fringe will make me look like a git, I want them to tell me! 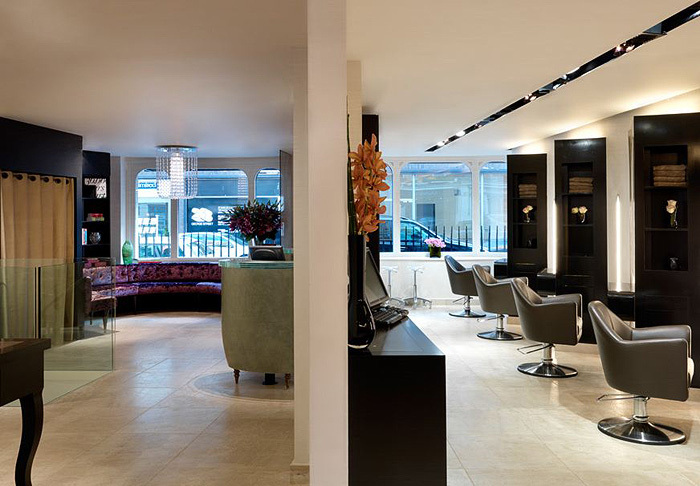 The salon is a chilled-out space with brown and cream accents, seating you could drift off in and one of the most comfortable hair-washing experiences (electric chairs sweetie!) I’ve ever had. Prior to washing, Shai asked me to take my hair down from the bun I’d scraped it in and I momentarily panicked that he would admonish me for failing to remember to brush my hair that morning. Passing no judgement (at least none that I could see), Shai felt my hair’s texture before recommending which products should be used for the wash. 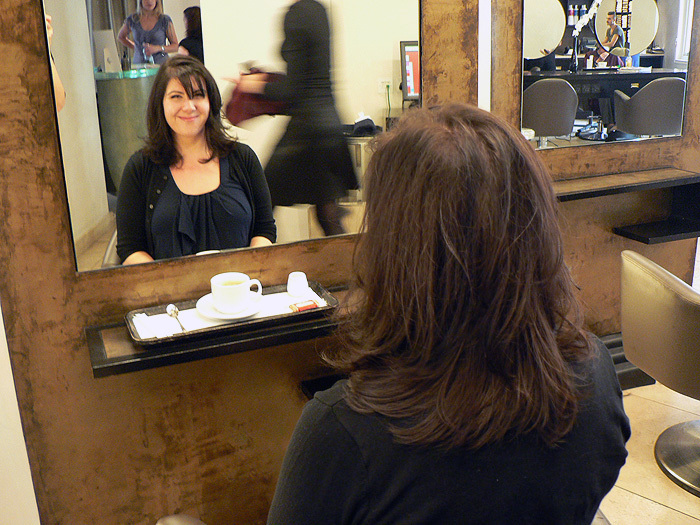 It was a good example of the personalisation I felt was key to the salon experience. Once seated at the workstation, I explained to Shai that I didn’t want to lose too much length because I like to wear my hair up but that my two main objectives were to restore health and incorporate some ‘kind’ of style without going too heavy on the layers. “err yes, ok” I nodded. OMG, that was easy – he *actually* considered what would suit both my hair AND face shape. I heard birds singing and harps playing in the distance. He smiled a little wryly but not unkindly, like he knew I was being mischievous and gently motioned how far back he felt he’d have to cut the hair for the thickness of fringe I desired, explaining that I would lose a lot of volume in the process but was happy to do so if I wanted. I quickly dispelled the thick fringe idea and settled back into the chair like a good girl, finally confident that I had a considered answer to a question that had plagued me for months. Shai is quick, his scissors moved over my hair in a blur… he doesn’t talk much, if at all when he’s working. It was momentarily awkward as I wondered whether I should initiate a conversation before giving in to the silence and simply enjoying watching him work. 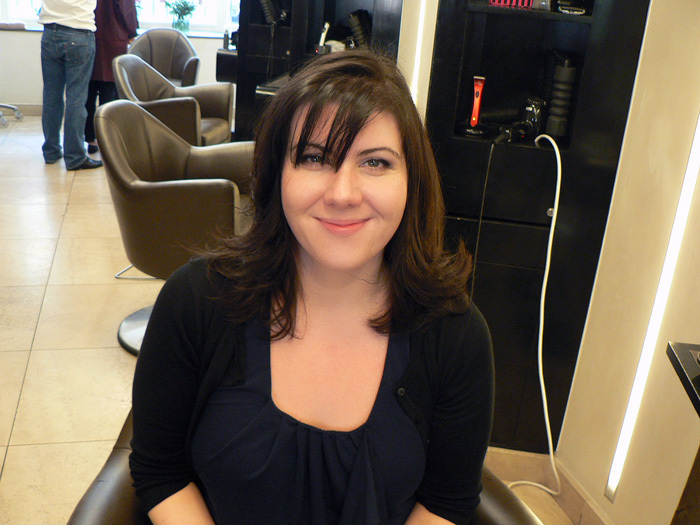 30 minutes later and we were done, I had beautifully feminine, soft, flippy hair that looked healthy and shiny! The layers are perfect, I can still scrape my hair back into a ponytail without the need for hairgrips. The ends feel lighter, less weighty and my fringe… although still not that Zooey Deschanel dream, is definitely serving more purpose than its first non-commital attempt with my last stylist. A good, uplifting experience… and best of all, he didn’t mention my dodgy home-colouring once! Prices start from £45 for a cut and finish with a junior stylist. You can visit the Gielly Green website for more information, services and even book your appointment online. I’ve written previously about my love for Gielly Green’s Argan Rescue Oil that I use a few times a week to perk up my over-processed hair. I recently took delivery of a couple of samples from the Gielly Green body range which included a hand & body lotion and a hand & body wash.
At 300ml a-piece, these understated but elegant bottles will last a fair length of time which is reassuring when you take into account that the ‘wash’ and ‘lotion’ are priced at £12 and £18 respectively. These are luxury prices for products squarely aimed at the luxury market. Now, whilst I don’t bat an eyelid at paying nearly £20 for a hair treatment, lipstick or facial moisturiser… I get more frugalistic stirrings when it comes to the kind of purchase that generally needs to be replaced more frequently. This would include hand washes. Having said that… I can’t actually fault the deliciousness of these products. The Lemon and Muguet (Lily of the Valley) scent is fresh and airy. It delivers a sparkling citrusy zing without skimping on a more grounding floral that lingers for a few hours after application and the scent conveys an overall carefree lightness without being too ‘young’, fruity or sweet. The formula of the hand and body lotion is blissfully light, not great for those requiring more intense moisturisation but I’ve been using this on my hands (and lower arms) after washing and whilst not moisturising enough to keep my cuticles in check, it’s doing a sterling job on the rest, including my rough elbows! The hand and body wash smells a little zestier than the lotion and delivers a non-drying formula thanks to the addition of Argan Oil (not too far down the ingredients list either!) and a welcome lack of SLS and alcohol in the formulation. Overall, if your purse can stomach the price tag – you could do far worse than treating yourself to these bathroom gems. 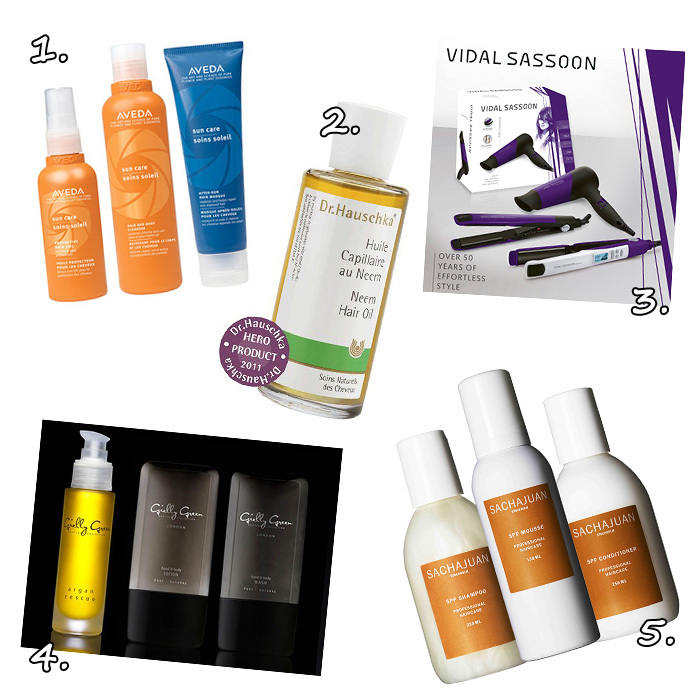 Gielly Green have delivered a perfect pair of body essentials that bring a touch of luxury to a normally mundane task. Gielly Green Hand & Body Wash and Hand & Body Lotion in Lemon & Muguet are available to buy online from the Gielly Green website. I never get round to doing “products of the month” posts because there’s inevitably something else that I wanna blog about when the ‘critical’ time is approaching. I do love reading other people’s picks though so instead of giving up on these type of posts completely I think I’ll just throw random ones out there when the mood takes me instead. Who needs time restraints anyway? This has given my dry, overprocessed hair such a lift these last few weeks. I don’t know how it compares to the likes of Moroccan Oil which I haven’t tried yet but the Gielly Green Argan Rescue add shine, softness and smooth ends without being too heavy on my fine (but lots of it!) hair. You can buy the Gielly Green Argan Rescue Oil here. I received a sample size of this tucked into my last Debenhams order and “uh oh”, ‘cos it’s on the repurchase list! I’ve been trying to work out a morning skincare routine that suits my combo/dry skin and this has become my morning cleanser of choice. Normally, I use a ‘cleansing gel’ to remove my makeup but this one is so light that a pea-sized amount cleanses my bare face beautifully. It has a delicious ‘wake me up’ grapefruit scent and is the only cleansing gel/oil/balm type product I’ve used that makes me feel clean without doing a double cleanse. Add to that the fact that it’s one of the least drying cleansers I’ve discovered and I’m delighted to start the day with this gem! Now, I’ve said that… watch me hate it once I purchase the full size. It’s always the way right? You can buy the Elemis Melting Cleansing Gel here. Now available in a travel-friendly 20ml bottle, Balenciaga Paris is simply exquisite. I’m not sure how it manages to capture so much in one small bottle. It opens with a crisp, floral freshness that announces itself with all the fervour that BIG openings bring before mellowing into something quite creamy yet grown-up. It seems to capture both a lightness and a depth that feels more sensual, darker… naughtier! My only gripe is that it needs a top-up every 3 hours or so as the fragrance sadly doesn’t last the day… but I guess that’s the benefit of a 20ml bottle! You can buy Balenciaga Paris Eau de Parfum 20ml here. Oh well, as much as I love it – I guess I’ll have to find something else to replace it. I know this is a bit of a weird one… but I’ve used it twice now at the onset of a cold. As soon as I get that “drowning feeling” in the back of my throat, I pull this out and use as often as the directions allow me. Whilst it hasn’t killed or cured the ensuing snuffles, it’s made a real difference to it’s severity. The last two times I’ve used it, my cold hasn’t progressed into full-blown face ache/streaming nose type horrors as it normally would. I’ve been able to get on with day-to-day life with a couple of paracetamol and this nasal spray nearby quite happily! You can buy Vicks First Defence here. Since my run in with the Prai o2 Infusion I reviewed yesterday, my skin has been in dire need of TLC and the Sheer Cover Refreshing Face Mist has provided this well. Once made up in the mornings, I obviously can’t moisturise with normal creams and this refreshing spray gives my skin a hydration boost with a couple of squirts throughout the day. It’s alcohol-free and at 60ml is handbag-friendly. Organic brand Melvita failed to impress me first time round… I tried a particularly stinky oil that I just couldn’t bring myself to use because of it’s… um… aroma. However, the Melvita Eye Contour Gel is a delight! Incredibly lightweight and fast-absorbing, I’ve finally found an eye cream that I’m happy to wear under my makeup. I’ve noticed a decrease in puffiness since incorporating this into my routine… not sure it does much for fine lines or dark circles but it feels wonderfully refreshing and lifting for bleary morning peepers! You can buy Melvita Eye Contour Gel here. What are you currently using and loving?